“Why do we have to learn this?” It’s the question that haunts every teacher. When schoolwork doesn’t seem relevant, students quickly lose interest and stop learning. And with information just a Google search away, memorizing facts for tests seems more pointless than ever. This lack of student motivation has led to a crisis in our education system, with students failing to meet grade level targets across all ages and skills. Fortunately, many schools across the US and around the world have recognized that a system based on memorization and testing is not effective. Innovative teachers are leading a movement towards project-based learning, where students demonstrate their learning not by passing a test, but by creating original work. When done well, project-based learning not only motivates students to learn the required content and skills, it also helps them to develop creativity, communication and collaboration skills. With over 320,000 participating students in more than 150 countries, PenPal Schools is leading the project-based learning revolution. Students on PenPal Schools don’t just write to each other - they collaborate globally to design robots, create films, explore careers, and find local solutions to global problems. Sound like fun? It is! Students on PenPal Schools are so engaged and motivated in their learning that PenPal Schools has earned high-profile press and won numerous prestigious awards, including Best Edtech of the Year by Common Sense Education (a big deal). PenPal Schools was also recognized by President Obama (a bigger deal) as an outstanding social enterprise - an organization that uses a for-profit business model to create positive change. These screenshots are nice, but to really get a feel for PenPal Schools you should see a demo. 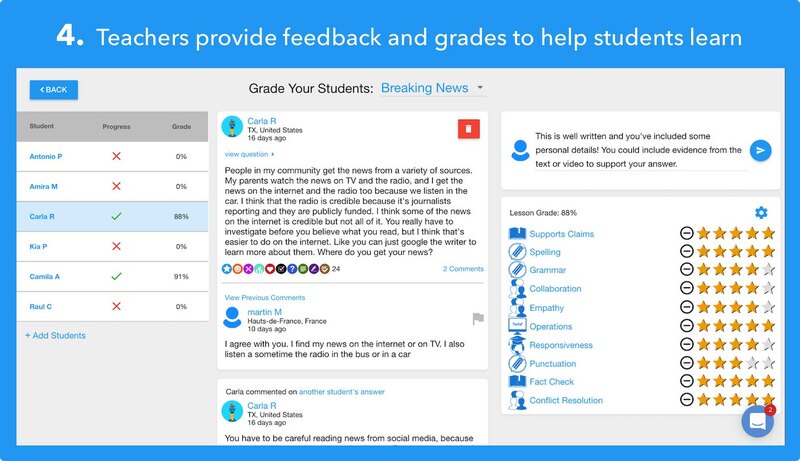 Pick a topic of your choice and preview it to see the quality of the content and technology. The demo looks pretty good on a phone, but it's optimized for a laptop - the way 90% of our students use it. As you may already know, the K-12 education industry is very large. 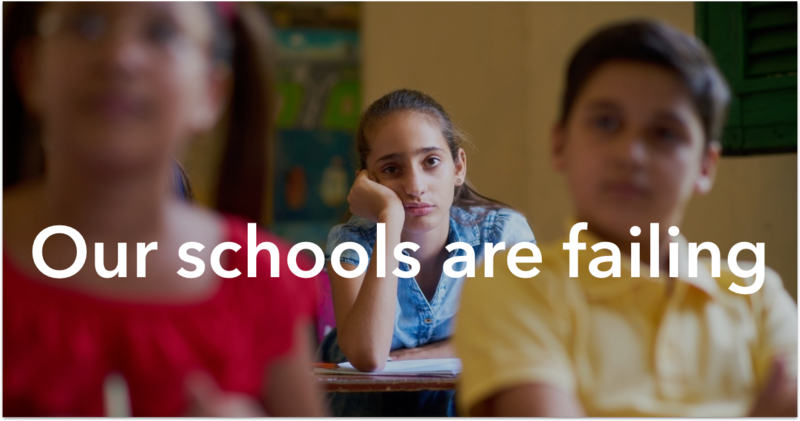 In the United States alone, there are over 98,000 public schools and 33,000 private schools serving a total of over 56 million students. These schools spend a total of $12.4 billion per year on instructional supplies. What you may not know, unless you spend a lot of time in schools, is that classrooms today look very different than they did just a few years ago. Schools everywhere recognize the need for students to practice using technology, and are replacing worn out textbooks with digital instructional materials. Today, 98 percent of US school districts provide internet access for students. In addition to what they purchase, schools and districts have also changed how they purchase. In the past, large textbook publishers sold their products by schmoozing administrators with fancy dinners or golf outings. This was great for administrators, but often forced students and teachers to use ineffective products. Fortunately, today schools and districts demand free trials (pilots) of digital resources to make sure that they are effective. This is great for students and teachers, as well as for the companies that have built the products that they love. Like, for example, PenPal Schools. 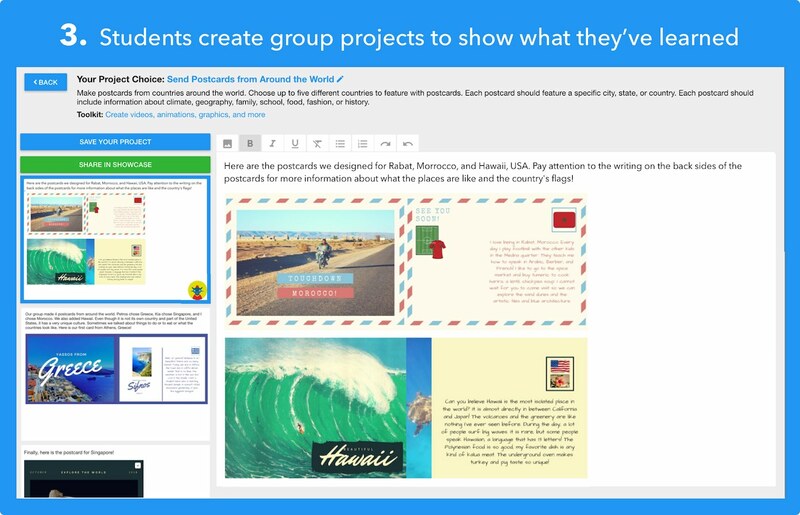 Teachers can complete any two topics for free on PenPal Schools. After completing their free trial, teachers are given the option to encourage their principal to purchase a license for the school (we don’t believe in charging teachers). 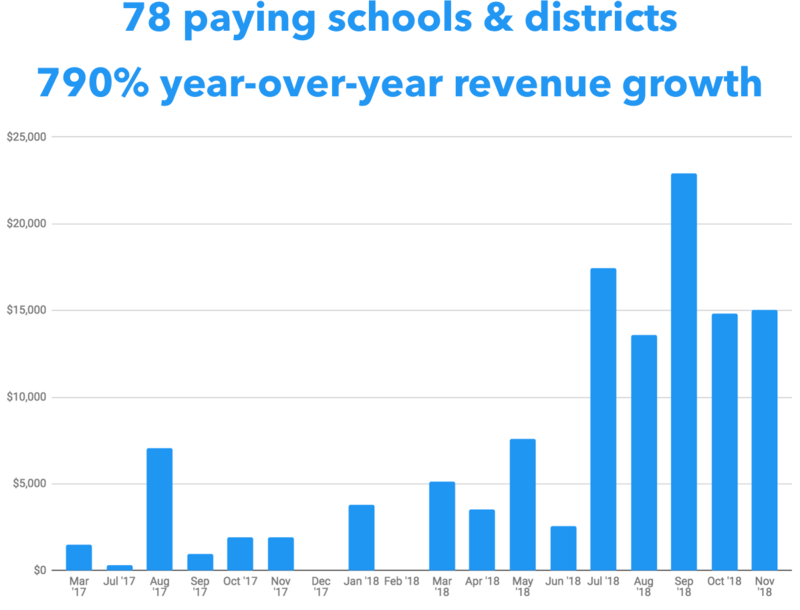 The sales pipeline for 2019 is very strong, with revenue expected to surpass expenses in March based on sales to individual schools alone. In addition, news of PenPal Schools has reached administrators from some of the largest school districts in the US, and pilots are currently underway with 8 districts representing a combined total of 591 schools. Students and teachers from these districts are already using PenPal Schools and sharing their feedback with district administrators, who will make purchases in the Spring for the 2019-20 school year. Spring 2019 - PenPal Schools will hire additional account managers to increase sales and manage existing relationships. These account managers will field inbound leads generated from free trials while also focusing on business development with large school districts. 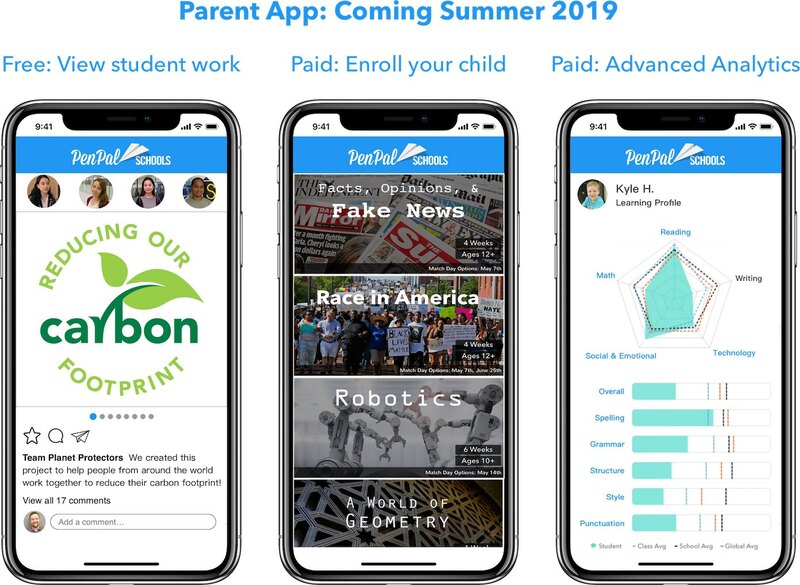 Summer 2019 - PenPal Schools will introduce a mobile app for parents. The free version of this app will enable parents to see the amazing projects that their children create with peers around the world. For a small monthly fee, parents will be able to enroll their children in additional topics beyond those selected by the teacher. Premium subscribers will also have access to advanced analytics and recommendation features, made possible by the thousands of assessments that students receive from peers and teachers. This freemium parent app will enable PenPal Schools to enter the fast-growing home education market. With US children ages 8-12 spending an average of 6 hours per day online, parents are increasingly willing to pay for educational apps to ensure that screen time is well-spent. While reliable statistics for the size of the home education market are not yet available, the impressive valuations for companies focused on sales to parents, such as ABCmouse and Classdojo, demonstrate the common belief amongst education investors and analysts in the strength of the home education market. PenPal Schools has raised a total of $1.25M from a mix of angel and institutional investors. Join us in making education global, fun, and engaging for students everywhere! The smallest investment amount that PenPal Schools is accepting. PenPal Schools needs to reach their minimum funding goal before the deadline. If they don’t, all investments will be refunded. If a trigger event for PenPal Schools occurs, the discount provision gives investors equity shares (or equal value in cash) at a reduced price. PenPal Schools needs to raise $25K before the deadline. The maximum amount PenPal Schools is willing to raise is $1.07M. Sponsor a school! Includes unlimited free access for a school of your choice for an entire year! During teacher training we will publicly thank you for your sponsorship (unless you prefer to remain anonymous). 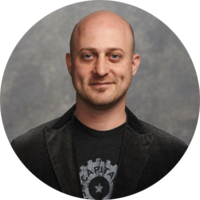 Joe is a proven entrepreneur whose prior venture (Healthtech) now generates over $5M in annual revenue. 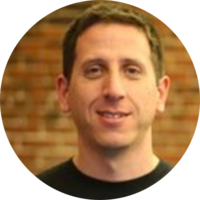 He has 10 years of experience leading teams to create software in investment banking, healthcare, retail, and education. Miguel is a highly skilled full stack developer. 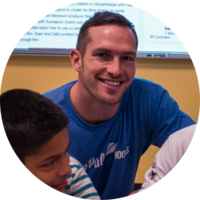 Prior to PenPal Schools, he owned a development agency where he led a team of 4 software engineers. He also helped a startup develop a video streaming system which currently holds a patent. Mark spent six years in public education where he served students and families in Oakland, California as a classroom teacher, instructional coach, and school leader. Mark holds a Master’s in Education from the University of San Francisco. 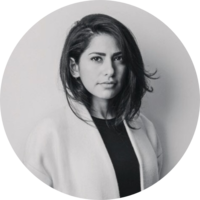 Jessica is a community developer and educator with prior experience as a special education teacher in New York City. 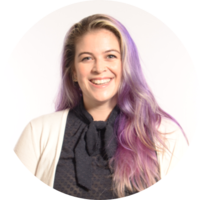 Jessica holds a Master’s in Education from Long Island University in Brooklyn, specializing in adolescents with special needs. 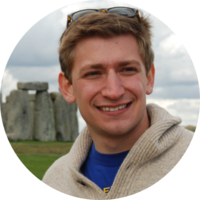 Frank is a seasoned full stack developer and current front end engineer. 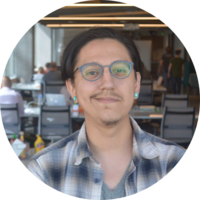 He is also a lead Engineering Instructor and curriculum developer at Hello World, an organization that teaches 3rd-12th grade students web development, game design, and CS. 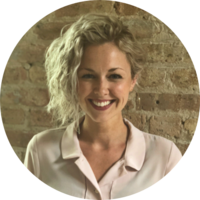 Prior to PenPal Schools, Maggie worked for two different startups focusing on the intersections of social impact, sustainable solutions and global connections. She has 5 years of sales experience as well as roles in program and project management. The majority of communication on PenPal Schools is in English. This is possible because English has been widely taught in schools around the world for the last 10+ years. If you've traveled internationally then you may have seen for yourself that young people often speak much better English than their parents! English learners from all over the world (including some of the 5 million English language learners in US public schools) love PenPal Schools because it provides an opportunity to practice English with an authentic audience. PenPal Schools also offers content in Spanish, French, and Mandarin Chinese. In these lessons, students read and write in the target language with native speakers and language learners from around the world. What happens if students write something inappropriate? Students can only join if invited by a teacher, so they know their work is monitored! Also, our students have created a culture of responsibility and respect. The vast majority of students are writing positive and thoughtful answers, and any disrespectful content is immediately flagged by students using peer review features. When a message is flagged, both the teacher and the PenPal Schools team are notified. Teachers are then provided with a recommended protocol to help students learn proper digital citizenship skills. How do you keep students (and their data) safe? PenPal Schools has a strict Student Safety Protocol which has enabled us to connect over 320,000 students without any security problems. First we ensure that only students and teachers are allowed on PenPal Schools. Students can only join if they are invited by a teacher. All teachers must be verified by their principals in order to join and enroll students. PenPal Schools speaks personally with every principal. Once enrolled, students collaborate in community forums. There is no private direct messaging between students, ensuring that any inappropriate behavior is immediately seen and flagged. Teachers have access to a 21st Century Skills Toolkit, which helps students to learn about topics like creating secure usernames/passwords and protecting personal information. Speaking of personal information, PenPal Schools collects a bare minimum of data from students. To create an account, students only provide their first name and last initial. Students don't provide personally identifiable information such as last names or email addresses. The small amount of data that students do provide is secured and encrypted. What ages and grades does PenPal Schools serve? PenPal Schools is used (and loved) by students ages 8-18. Younger students typically enroll in topics such as World Explorer and A World of Food, while older students typically enroll in more advanced topics such as Robotics and Immigration in the 21st Century. All topics are offered at multiple ability levels, so every student in a class can read and write at their own level. Our algorithm ensures that students always interact with PenPals within two years of their own age. When do students log on and how long do lessons take? The majority of students participate in PenPal Schools in the classroom during the school day. Lessons typically take 30-45 minutes each, so a topic containing 4 lessons would typically take 3-5 class periods. Some teachers choose to assign PenPal Schools as homework or to participate as an after-school activity. All topics are self-paced, making it easy for students to participate and easy for teachers to fit into their curriculum. Do students communicate using video? All communication on PenPal Schools is written. This enables schools to participate despite differences in time zones and internet speed/reliability. Written communication also helps students to practice core literacy skills and ensure that all students can share their ideas - not just the loudest! Can students enroll without a teacher? Currently all students must be invited by a teacher. In the future, parents will be able to enroll their children once we verify their identity. PenPal Schools is proud to offer scholarships to schools in need. We routinely provide our product for free to schools serving low income communities. What is PenPal Schools' student safety protocol? You can read about Penpal Schools' safety protocol here. We’ve raised money the old-fashioned way before and could likely do it again. This time, however, we’ve chosen to raise money on Republic to provide friends, family, and our community with an opportunity to be a part of our journey. Our program has grown and evolved thanks to the support of some truly amazing teachers and administrators. We are so grateful for all they have done for us and for their students, and we are thrilled to offer them the opportunity to share in our success. Of course, we welcome support from those who are new to PenPal Schools as well, and we hope that all investors will share PenPal Schools with the teachers and school administrators in their networks. How was PenPal Schools started? Joe: My name is Joe Troyen, and I'm from Penpal schools. When we got started it was just about connecting students to share perspectives. Eventually I traveled overseas and I had an opportunity to see how many students around the world, kids around the world are learning English, how many are getting connected to the internet and it struck me as kind of a need for students to be connected. Why are they not connected already? Why can't they have an opportunity to experience places outside of their city or town? 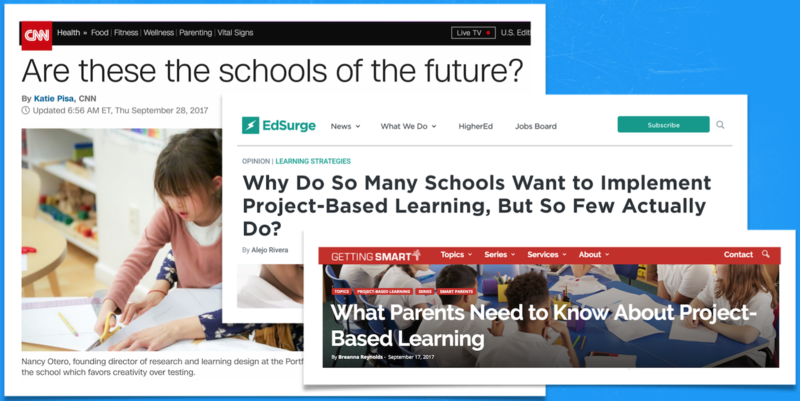 What we do has really evolved to be a much more well-rounded project-based learning platforms that's connecting students to collaborate and learn and I personally have evolved to know and care much more about what's happening in schools and how we can improve them. Tim Draper: Welcome to meet the Drapers, give us the pitch. Joe: Alright, thank you are you nervous? Tim Draper: No, actually but it's really good to have you on the show. Joe: I just want to make sure we're on the same page. My name is Joe Troyen. 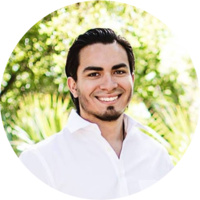 I'm the founder and the CEO of Penpal schools and we connect students from around the world to learn together. 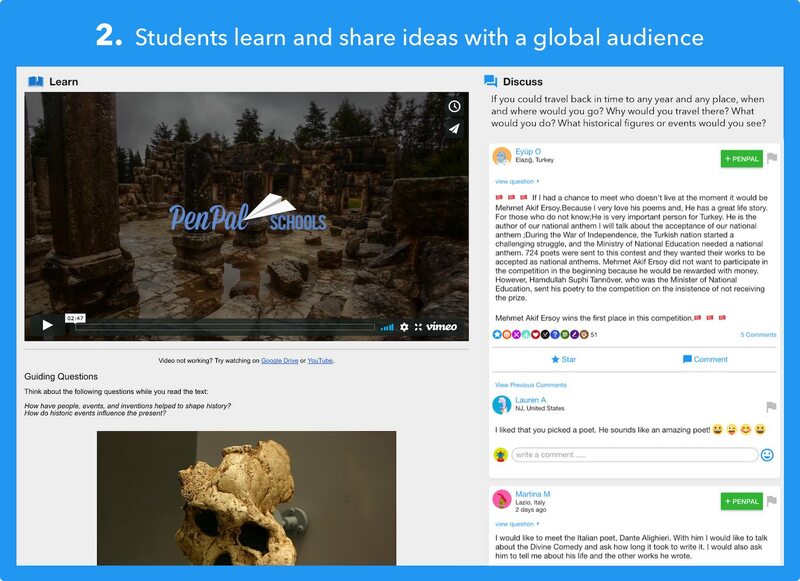 Penpal schools connects students from over a 150 countries, over 300,000 students. This is why I ask if you're nervous. You're about to learn about the greatest learning resource on the planet. We are growing virally all over the world. We are changing the way that students learn and the reason that this is happening so quickly is we're perfectly timed for some massive changes that are happening in schools everywhere. Joe: Change number one, they are getting connected, right. They are getting online, it's not all text books anymore. Students are getting online, there is devices in the classroom. Over 90% of US classrooms are connected to the internet and this is happening all over the world. Another big shift that's happening is a revolution in the way that teachers are teaching and the students are learning. Schools around the world are recognizing that memorizing facts for tests is no longer an effective way to learn. Teachers are leading a revolution away from memorization and test taking and towards project-based learning, right. Joe: Students are collaborating together in a more authentic way as we do as adults. Students can connect and collaborate with Penpals all over the world through our online projects. Students are working with peers in over 150 countries to design robots, right. They are writing collaborative poems, they're fighting climate change, building reading skills, writing skills, social and emotional skills, those skills they need to succeed. Tim Draper: I agree with all of these. I'm trying to get to what is your business model? How do you make money because we're still trying to figure it out? Joe: I talked about how schools are shifting class time towards online resources, they are shifting their budget too, right. 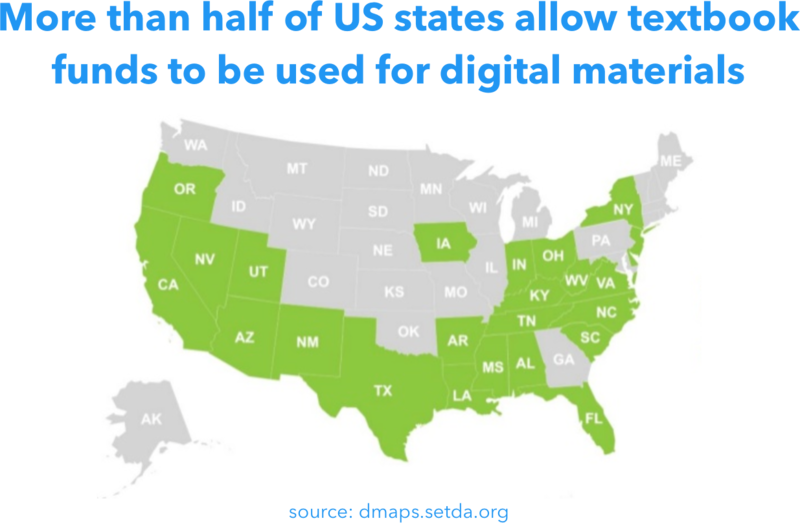 Over half of US states have shifted their budgets from books to online instructional materials of which Penpal schools fits right in the center of that category. Bill Draper: What is your revenue? Joe: We recently monetized and now our revenue is over $30,000 a month. We are profitable. Bill Draper: In how many schools do you bring in that income? Joe: We have over 50 paying schools at this point. Tim Draper: Are they public or private? Joe: All across the board. There's public, private and chartered. There's a mix of all of them. What it used to be is you got take the superintendent off for a round of golf, maybe buy him a nice dinner, right and that was very hard for education startups to crack it. What's happening is the freemium model is really taking a root in education. We have a free product that teachers all around the world use and love and tell your principal if you want to buy it and that's been the recipe for our successes because we've focused on building something that students and teachers love. Anousheh Ansari: Do you create the educational material yourself? How does the projects come about? Joe: Many of them we build ourselves. Some of them we build with publishers, so time for kids they built a project with us called protecting the planet which connects students from around the world to learn about climate change, pollinators, fracking and they said, hey, Penpal schools can help to connect students around the world make that content more engaging. Bill Draper: Language wise how does a kid from Africa talk to the kid from Canada? Joe: Two huge trends happening around the world. Technology is spreading everywhere, the other is English because I have been fortunate enough to travel in my life and been able to see first-hand kids running up to me in the streets of Indonesia, whose parents don't speak a word of English and they can't wait to tell me about their life and ask me about America and I said there are so many millions of students that want to connect with you and learn about your community and you can practice your English with them. Tim Draper: Can you give us an example of say fake news? You got that as sort of a category. How then does this tie in to being a Penpal? Joe: A teacher would go onto penapalschools.com and would select the fake news project and then the teacher would give a code to the kids. The students all create their usernames and passwords. What happens then they decide what they're going to create. Some students are going to create a public service announcement, right, others might do a fake news quiz and we share it in the Penpal school showcase for a whole community of students around the world to see what you've created, add comments, react to it, questions. 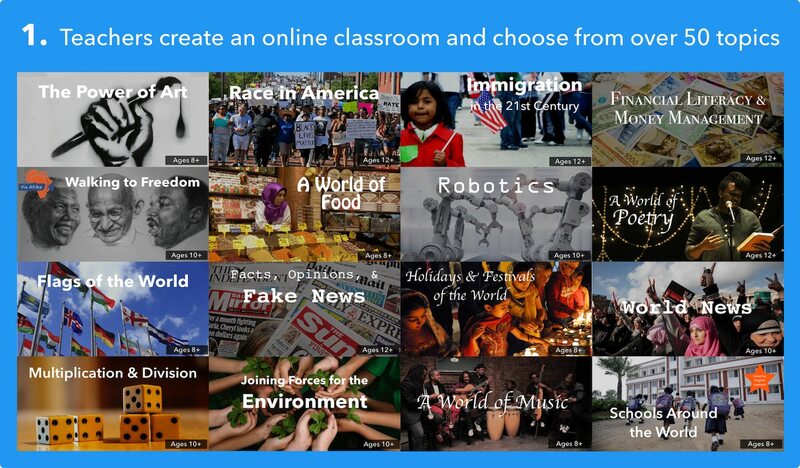 We have built in lessons with videos and texts for students to learn about fake news, collaborate with kids around the world and help them create their projects. Tim Draper: If I'm a student and I'm in Africa, say, what's my incentive to go look at some other student's work instead of like watching a great YouTube video? Joe: The incentive is authenticity. You remember in school writing just to be evaluated by your teacher, how boring is that. People want to be connected. Give students an authentic audience to write to and you will see writing scores shoot through the roof. Polly Draper: They see the kids? Is it a Skype situation? Joe: No, we can't ask this class to be on at 3 pm central standard time for a Skype call with a class in Chicago, so we've built Penpal schools to be accessible. There is no live streaming video. It's written communication. They can get on whenever and wherever they get internet access, so what we've created it's built to be accessible because students everywhere deserve an opportunity for progress. Bill Draper: How do you make those connections with the school in Africa let's say? Joe: One of the great things about education when teachers like something, they share it. Teachers are on blogs, so when they find something good, they share it. I'm not flying around the world visiting schools, pitching Penpal schools. This is a teacher driven movement that's happening. Bill Draper: What is your education? Joe: I got a undergraduate degree in international relation from Pomona college in Spanish. I can do the pitch in Spanish too if you want. Joe: No, I'll spare the audience that. Tim Draper: Why are you doing this? What's your background and why do you care about all this? Joe: I spent that night just thinking about all the teachers I had met in my journeys across these countries, I was going to have to send them an email the next day saying, “Hey, you remember how I promised we're going to connect your kids to learn around the world, we're not going to do that,” and I just all night long was just thinking about this terrible email that I was going to have to write and I woke up then I said, I'm going to see if I can make this thing work. Moved back to America and I got into this because I was infected by the passion of the teachers that I've met from around the world. Tim Draper: Thank you so much for coming into meet the Drapers. Joe: Thank you very much for having me. Bill Draper: Terrific. Congratulations you have come a long way. Joe: Thank you very much. I think it went pretty well. It's hard to say. They all seem to get the value. 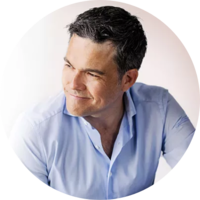 I'm very passionate about the teaching and learning side of things and spent less time talking about the business opportunity, hopefully that passion is contagious and they see that we're solving a real problem in having a lot of success doing it. There is a market out there for what we are doing and hopefully that's why we didn't feel the need to dig in more. We started this republic campaign because we want our teachers to be able to invest in educators and the people that we serve, they know the value of what we've created. They see the impact that it's having in their classroom. For teachers out there, we want you to have a chance to share in our success. We also want you to enroll and check out Penpal schools and try it in your classrooms and then for all of you other viewers, we invite you to come be a part of this, help to support Penpal schools. We're very proud of what we've accomplished and I'm always eager to share with new people. Tim Draper: Well, what did you all think of Penpal schools? Bill Draper: I thought he is terrific and he's done something he is passionate about. It's all about kids. I'm in favor of that and he's found a new way to reach them, educate them, I'm all for it. Anousheh Ansari: I love it. I mean education is such a great gift that any kid can get because no one can take anyone's education away from them, so I love what he is doing and his passion for it. It's truly coming from his heart and connecting, collaborating in this way online and getting kids to learn from each other's culture and experiences. I love this. Polly Draper: I felt the same way. It's already a whole other dimension of education. Tim Draper: Lot of fun, really interesting. Any concerns you have? Anousheh Ansari: If he can add translation and allowing people to communicate. Polly Draper: Because there are lot of people that don't speak English and certainly don't speak English well. Tim Draper: Google translate that's one of big thing that's happened. Polly Draper: That's exactly what I thought he said. This is the big thing. Big thing that's happening is everybody's learns English. Tim Draper: But instead he just said English is spreading. I'm not sure that's true as much as it used to. Polly Draper: I don't that if it's true either. Tim Draper: Good, okay, well so let's consult the crystal ball. This time it's sort of humming to us. Tim Draper: Four up. 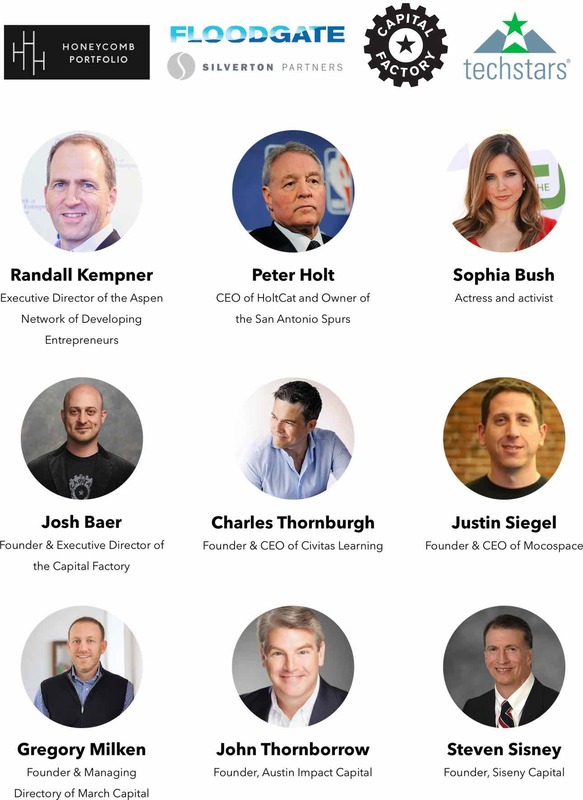 Okay, well so that's, that was our vote but you have an opportunity to vote up or down or to invest go to meetthedrapers.com, and you can invest in Penpal schools, so let's bring on the next entrepreneur but before we do it, let's take a look at what's going on behind the scenes. We were incorporated under the laws of Delaware and formed on August 27, 2012. Accordingly, we have little history upon which an evaluation of our prospects and future performance can be made. Our proposed operations are subject to all business risks associated with new enterprises. The likelihood of our continuation of a viable business must be considered in light of the problems, expenses, difficulties, complications, and delays frequently encountered in connection with an early-stage a business operating in a competitive industry, and the continued development of advertising, promotions, and a corresponding client base. We anticipate that our operating expenses will increase for the near future. There can be no assurances that we will ever operate profitably. You should consider the Company’s business, operations and prospects in light of the risks, expenses and challenges faced as an early-stage company. We may have difficulty raising needed capital in the future as a result of, among other factors, our limited revenues from sales, as well as the inherent business risks associated with our company and present and future market conditions. Future sources of revenue may not be sufficient to meet our future capital requirements. We will require additional funds to execute our business strategy and conduct our operations. If adequate funds are unavailable, we may be required to delay, reduce the scope of or eliminate one or more of our research, development or commercialization programs, product launches or marketing efforts, any of which may materially harm our business, financial condition and results of operations. Our financial statements have been prepared on a going concern basis and we must raise additional capital to fund our operations in order to continue as a going concern. IndigoSpire CPA Group, LLC, our independent registered public accounting firm for the fiscal year ended December 30, 2017, has included an explanatory paragraph in their opinion that accompanies our reviewed financial statements as of and for the year ended December 31, 2017 and December 31, 2016, indicating that our current liquidity position raises substantial doubt about our ability to continue as a going concern. If we are unable to improve our liquidity position we may not be able to continue as a going concern. The accompanying reviewed financial statements do not include any adjustments that might result if we are unable to continue as a going concern and, therefore, be required to realize our assets and discharge our liabilities other than in the normal course of business which could cause investors to suffer the loss of all or a substantial portion of their investment. In certain instances, we rely on single or limited service providers. Although PenPal Schools is an entirely web-based software, and requires no materials and few third-party service providers, our required vendors include web hosting (Amazon), customer communication software (Intercom), and a variety of operational software programs and services (e.g. accounting, payroll, etc.). If our outsourced services are interrupted or not performed or the performance is poor, this could impact our ability to process, record and report transactions with our customers and other constituents. Such interruptions in the provision of services could result in our inability to meet customer demand, damage our reputation and customer relationships and adversely affect our business. Quality management plays an essential role in determining and meeting customer requirements, improving the Company’s services and maintaining the integrity of the data that supports the value and efficacy of our services and educational products. Our future success depends on our ability to maintain and continuously improve our quality management program. An inability to address a quality issue in an effective and timely manner may also cause negative publicity, a loss of customer confidence in us or our current or future products, which may result in the loss of sales and difficulty in successfully launching new products or services. Various federal and state labor laws govern our relationship with our employees and affect operating costs. These laws include minimum wage requirements, overtime pay, healthcare reform and the implementation of the Patient Protection and Affordable Care Act, unemployment tax rates, workers’ compensation rates, citizenship requirements, union membership and sales taxes. A number of factors could adversely affect our operating results, including additional government-imposed increases in minimum wages, overtime pay, paid leaves of absence and mandated health benefits, mandated training for employees, increased tax reporting and tax payment requirements for employees who receive tips, a reduction in the number of states that allow tips to be credited toward minimum wage requirements, changing regulations from the National Labor Relations Board and increased employee litigation including claims relating to the Fair Labor Standards Act. We seek to maintain, extend, and expand our brand image through marketing investments, including advertising and consumer promotions, and product innovation. Increasing attention on marketing could adversely affect our brand image. It could also lead to stricter regulations and greater scrutiny of marketing practices. Existing or increased legal or regulatory restrictions on our advertising, consumer promotions and marketing, or our response to those restrictions, could limit our efforts to maintain, extend and expand our brands. Moreover, adverse publicity about regulatory or legal action against us could damage our reputation and brand image, undermine our customers’ confidence and reduce long-term demand for our products, even if the regulatory or legal action is unfounded or not material to our operations. In addition, our success in maintaining, extending, and expanding our brand image depends on our ability to adapt to a rapidly changing media environment. We increasingly rely on social media and online dissemination of advertising campaigns, and we invite our users to share on your social networks and to mention us with the link @PenPalSchools. The growing use of social and digital media increases the speed and extent that information or misinformation and opinions can be shared. Negative posts or comments about us, our brands or our products on social or digital media, whether or not valid, could seriously damage our brands and reputation. If we do not establish, maintain, extend and expand our brand image, then our product sales, financial condition and results of operations could be adversely affected. We must correctly predict, identify, and interpret changes in consumer preferences and demand, offer new products to meet those changes, and respond to competitive innovation. Consumer preferences of our products change continually. Our success depends on our ability to predict, identify, and interpret educational needs and to offer products that appeal to consumer preferences. If we do not offer products that appeal to consumers, our sales and market share will decrease. We must distinguish between short-term fads, mid-term trends, and long-term changes in consumer preferences. If we do not accurately predict which shifts in educational guidelines and preferences will be long-term, or if we fail to introduce new and improved products to satisfy those guidelines, our sales could decline. If we fail to expand our product offerings successfully across product categories, or if we do not rapidly develop products in faster growing and more profitable categories, demand for our products could decrease, which could materially and adversely affect our product sales, financial condition, and results of operations. In addition, achieving growth depends on our successful development, introduction, and marketing of innovative new products and line extensions. Successful innovation depends on our ability to correctly anticipate customer and consumer acceptance, to obtain, protect and maintain necessary intellectual property rights, and to avoid infringing the intellectual property rights of others and failure to do so could compromise our competitive position and adversely impact our business. A substantial portion of our revenue is derived from discretionary spending by schools, school districts and in the future, individuals, which typically falls during times of economic instability. Declines in economic conditions in the U.S. or in other countries in which we operate may adversely impact our consolidated financial results. Because such declines in demand are difficult to predict, we or the industry may have increased excess capacity as a result. An increase in excess capacity may result in declines in prices for our products and services. A substantial portion of the products and services we would like to offer in the future are products or services sold to parents. These consumers may view our products and services as discretionary items rather than necessities. As a result, our results of operations will be sensitive to changes in macroeconomic conditions that impact consumer spending, including discretionary spending. Difficult macroeconomic conditions, particularly high levels of unemployment, will also impact our business, along with other factors, including consumer confidence, employment levels, interest rates, tax rates, consumer debt levels, and fuel and energy costs. Slowdowns in the U.S. or global economy, or an uncertain economic outlook, could adversely affect consumer spending habits and our results of operations. Our business could suffer if we are unsuccessful in making, integrating, and maintaining relationships with schools and school districts that purchase our products. We provide our services to our customers through licensing and commercial agreements, strategic alliances, and public-private partnerships. As our agreements terminate, we may be unable to renew or replace these agreements on comparable terms, or at all. We may in the future enter into amendments on less favorable terms or encounter parties that have difficulty meeting their contractual obligations to us, which could adversely affect our operating results. We rely on various intellectual property rights, in order to operate our business. As we expand our business, protecting our intellectual property will become increasingly important. The protective steps we have taken may be inadequate to deter our competitors from using our proprietary information. In order to protect or enforce our intellectual property rights, we may be required to engage in expensive registration process and to initiate litigation against third parties, such as infringement lawsuits. Also, these third parties may assert claims against us with or without provocation. These lawsuits could be expensive, take significant time and could divert management’s attention from other business concerns. The law relating to the scope and validity of claims in the technology field in which we operate is still evolving and, consequently, intellectual property positions in our industry are generally uncertain. We cannot assure you that we will prevail in any of these potential suits or that the damages or other remedies awarded, if any, would be commercially valuable. Any dispute or litigation regarding patents, trademarks, copyrights or other intellectual property could be costly and time-consuming due to the dense content of our teaching material and the uncertainty of intellectual property litigation and could divert our management and key personnel from our business operations. A claim of copyright infringement could force us to enter into a costly or restrictive license agreement, which might not be available under acceptable terms or at all, could require us to redesign our teaching material, which would be costly and time-consuming, and/or could subject us to an injunction against development and sale of certain of our products or services. We may have to pay substantial damages, including damages for past infringement if it is ultimately determined that our products infringe a third party’s proprietary rights. Even if these claims are without merit, defending a lawsuit takes significant time, may be expensive and may divert management’s attention from other business concerns. Any public announcements related to litigation or interference proceedings initiated or threatened against us could cause our business to be harmed. Our intellectual property portfolio may not be useful in asserting a counterclaim, or negotiating a license, in response to a claim of intellectual property infringement. To remain competitive, we must continue to enhance and improve the functionality and features of our website and technology infrastructure. As a result, we will need to continue to improve and expand our hosting and network infrastructure and related software capabilities. These improvements may require greater levels of spending than we have experienced in the past. Without such improvements, our operations might suffer from unanticipated system disruptions, slow application performance or unreliable service levels, any of which could negatively affect our reputation and ability to attract and retain customers and contributors. Furthermore, in order to continue to attract and retain new customers, we are likely to incur expenses in connection with continuously updating and improving our user interface and experience. We may face significant delays in introducing new services, products and enhancements. If competitors introduce new products and services using new technologies or if new industry standards and practices emerge, our existing websites and our proprietary technology and systems may become obsolete or less competitive, and our business may be harmed. In addition, the expansion and improvement of our systems and infrastructure may require us to commit substantial financial, operational and technical resources, with no assurance that our business will improve. Prior to the Offering the Company’s current owners of 20% or more beneficially own up to 50.135% of the Company. Subject to any fiduciary duties owed to our other owners or investors under Delaware law, these owners may be able to exercise significant influence over matters requiring owner approval, including the election of directors or managers and approval of significant Company transactions, and will have significant control over the Company’s management and policies. Some of these persons may have interests that are different from yours. For example, these owners may support proposals and actions with which you may disagree. The concentration of ownership could delay or prevent a change in control of the Company or otherwise discourage a potential acquirer from attempting to obtain control of the Company, which in turn could reduce the price potential investors are willing to pay for the Company. In addition, these owners could use their voting influence to maintain the Company’s existing management, delay or prevent changes in control of the Company, or support or reject other management and board proposals that are subject to owner approval. The securities being offered have not been registered under the Securities Act of 1933 (the "Securities Act"), in reliance, among other exemptions, on the exemptive provisions of article 4(2) of the Securities Act and Regulation D under the Securities Act. Similar reliance has been placed on apparently available exemptions from securities registration or qualification requirements under applicable state securities laws. No assurance can be given that any offering currently qualifies or will continue to qualify under one or more of such exemptive provisions due to, among other things, the adequacy of disclosure and the manner of distribution, the existence of similar offerings in the past or in the future, or a change of any securities law or regulation that has retroactive effect. If, and to the extent that, claims or suits for rescission are brought and successfully concluded for failure to register any offering or other offerings or for acts or omissions constituting offenses under the Securities Act, the Securities Exchange Act of 1934, or applicable state securities laws, the Company could be materially adversely affected, jeopardizing the Company's ability to operate successfully. Furthermore, the human and capital resources of the Company could be adversely affected by the need to defend actions under these laws, even if the Company is ultimately successful in its defense. Compliance with the criteria for securing exemptions under federal securities laws and the securities laws of the various states is extremely complex, especially in respect of those exemptions affording flexibility and the elimination of trading restrictions in respect of securities received in exempt transactions and subsequently disposed of without registration under the Securities Act or state securities laws. I believe PenPal Schools will change education and the way we all learn! Hopefully it helps the youngsters get a better feel of the real world as they grow into adults. Happy to help! I believe that this is a tool that will help students in the collaboration and introduction into international business. Great product and great idea. I want to support Joe, the teachers, students, and the vision of a global student dialogue. I Invested because I believe our children are the future. Strong traction. Clear need and business model.